I am part of a multi-award-winning team. I have yo-yo dieted my whole life and as far back as I can remember I have been on diets or preoccupied with my weight. I tried every diet available only to lose some but then quickly regain it all. Being overweight always left me feeling like an outsider with very low self-esteem. It stopped me from moving jobs and held me back in my social life. 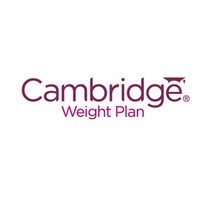 All this changed when I joined the Cambridge Weight Plan. With the help of a Consultant giving me one to one support I lost weight and have managed to keep it off! I have lost 3 stone*, am fitter, wearing clothes I never thought I could and am in weight management having completed all the steps and changed old thought patterns and habits. 2. Support and motivation throughout your journey. 3. Flexible day, evening and weekend appointments. 4. Various payment methods taken. I cover many areas in Surrey and SW London. Get in touch if like me you want to lose weight and keep it off.